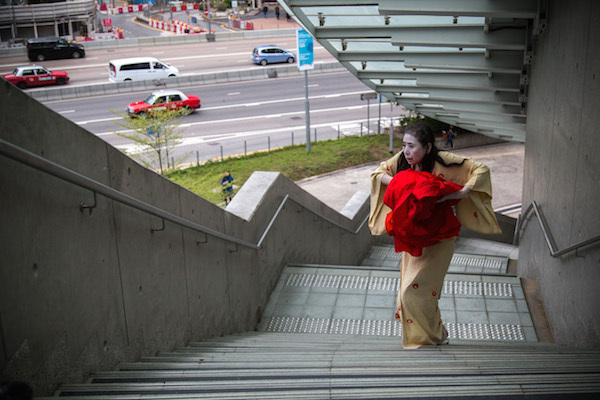 Eiko performed on and around Tim Mei Avenue Footbridge in Hong Kong. 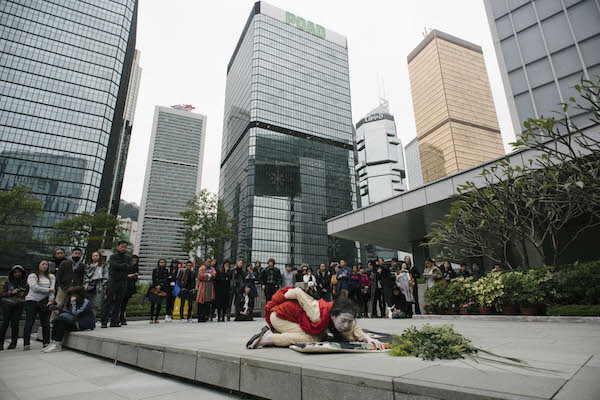 This is where as many as tens of thousands of demonstrators stayed in their tents during the Occupy Movement that lasted nearly three months. 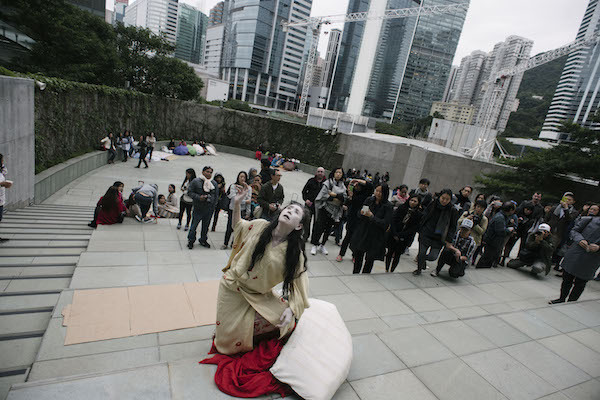 This December, Eiko was in Hong Kong for a residency with Mobile M Plus: Live Art series presented by West Kowloon Cultural District's Hong Kong's new museum for visual arts and culture, M+. 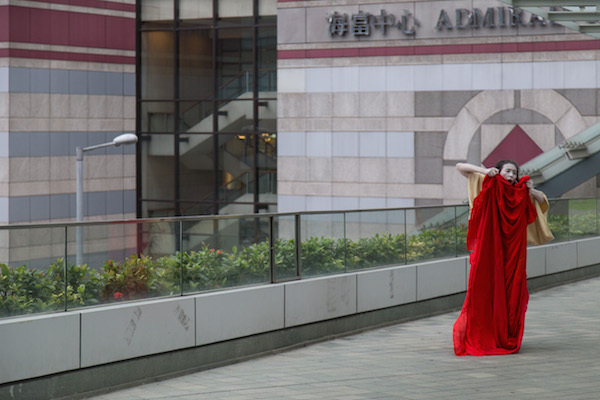 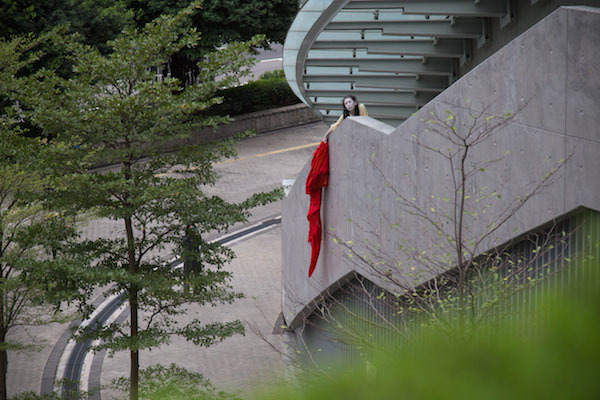 She performed on at the Time Mei Avenue Footbridge, where members of the Occupy movement had camped out, and the West Kowloon Cultural District. 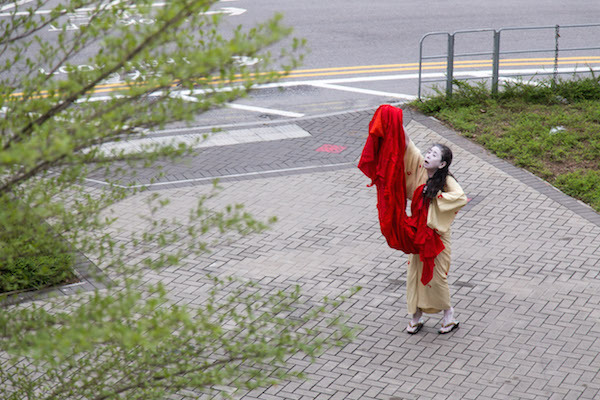 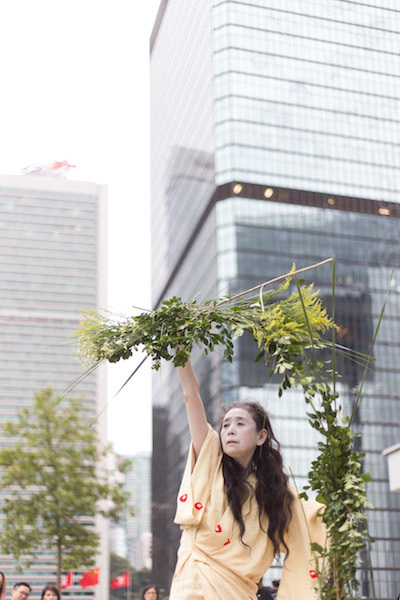 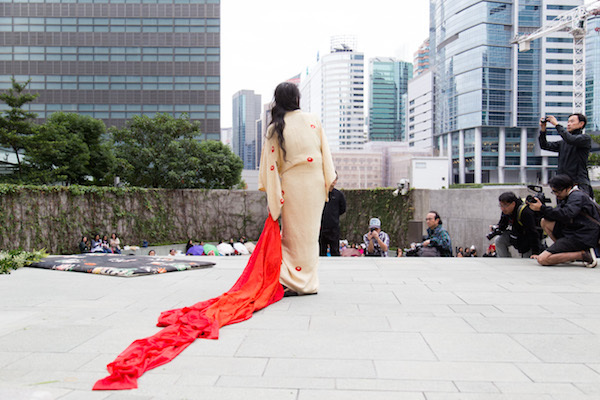 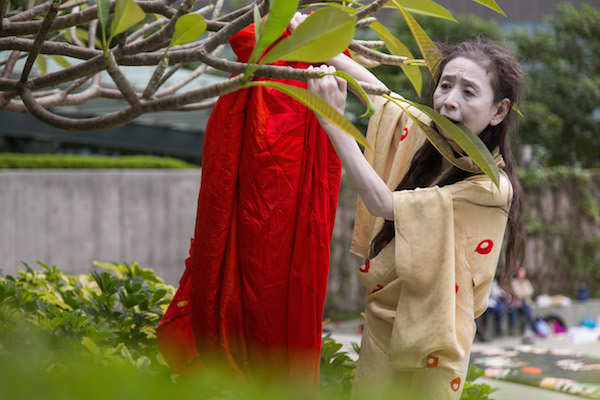 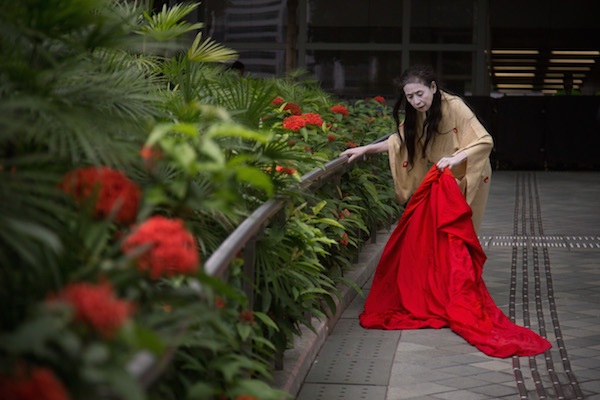 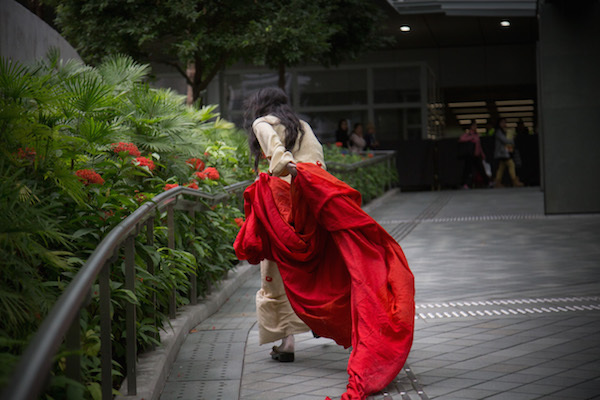 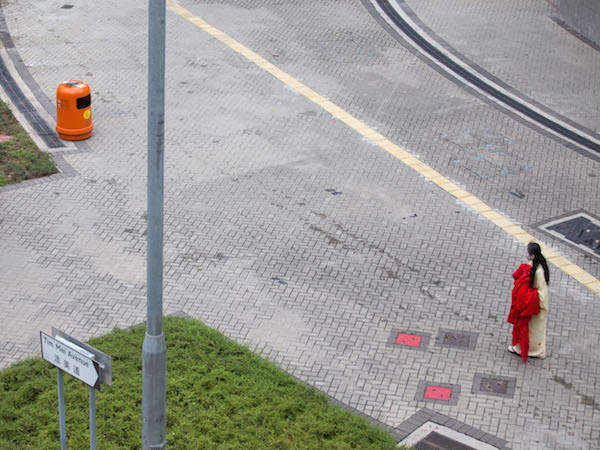 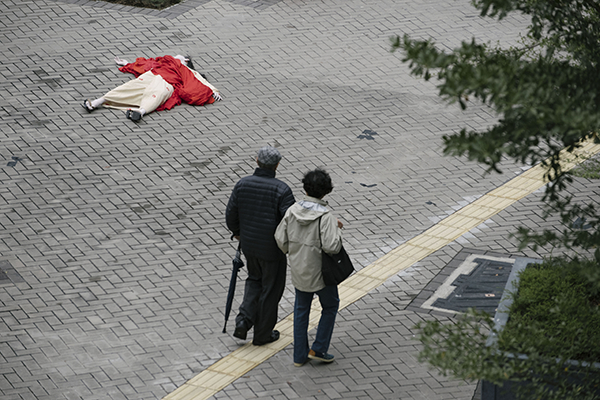 Eiko's performances in Hong Kong mark the first engagement of her solo project A Body in Places outside of the US.